The measurement of the Lamb shift in the muonic hydrogen has echoed on blogs and elsewhere. Briefly, an experiment at the Paul Scherrer Institute (PSI) measured the energy difference between 2S(1/2) and 2P(3/2) energy levels of an atom consisting of a muon orbiting a proton. Originally, this excercise was intended as a precise determination of the charge radius (that is the size) of the proton: in the muonic hydrogen the finite proton size effect can shift certain energy levels by order one percent, much more than in the ordinary hydrogen, while other contributions to the energy levels are quite precisely known from theory. Indeed, the PSI measurement of the proton charge radius is 10 times more precise than previous measurements based on the Lamb shift in the ordinary hydrogen and on low-energy electron-proton scattering data. Intriguingly, the new result is inconsistent with the previous average at the 5 sigma level. the PSI paper also quotes another recent measurement that is completely consistent with their result within error bars. 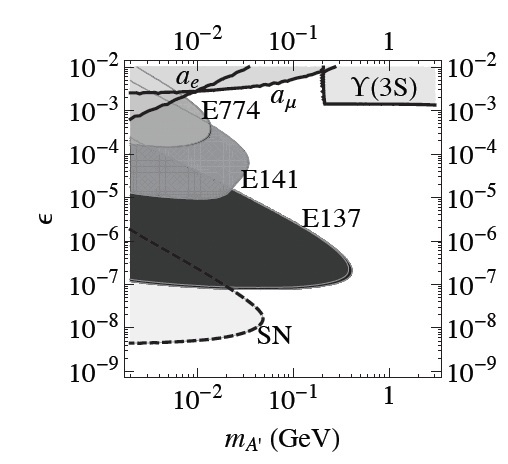 For example, the dark photon contribution to the electron-proton scattering amplitude at low momenta is equivalent to the $6 \epsilon^2 /m_A^2$ correction to the proton charge radius (...) It remains to be seen whether other precision QED tests (e.g. involving muonic atoms) would be able to improve on the current constraints. So here we are. In the coming weeks we should see whether there exist concrete models capable of fitting all data. In any case, a new front in the battle against dark forces has just been opened. Now, could someone make us a muonium? Some associations stimulated by the real or apparent reduction of proton charge radius can be found in my blog and in accompanying article. I couldn't work out the size of direction of the unexplained potion of the Lamb shift, from the papers quantities, do you know what it is. 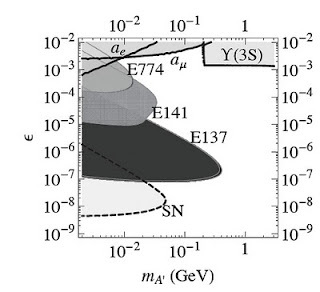 I have a pet dark force (an axial force mainly between neutrinos), which would give a correction to the lamb shift of muonic hydrogen of roughly, (M_mu/M_w)sin (3/8)*1/60 or about 8*10^-6, is this ballpark with their results.